João Tostes (Barbacena – MG – Brazil, July 9, 1983) is a Brazilian musician, ukulele player, composer, arranger, writer and musical educator, in charge of the Toca Ukulele Project. He is playing the Brazilian ukulele all over the world in coutries like Canada, Czech Republic, Italy and South Korea. He is a Level 1 Certified Ukulele Teacher by James Hill (JHUI), Canada. He started in the acoustic guitar in 1999. As the time went by, he started to study also the electric guitar and to play in local bands. He first met the ukulele in 2010, and published a video on Youtube to teach the ukulele owner how to play a song. People started to ask for new ukulele stuff and tutorials, which encouraged him to create a project. It was postponed several times. The project only began effectively five years later, in October of 2015. This is a project with several purposes in which interactivity with the public is one of the great differentials. Close to finish the Telecommunications Engineering course, he left the university after being approved for the acoustic guitar course at Bituca – Universidade de Música Popular (Brazil). During the period in Bituca, he actively participated in local bands, using the ukulele in much of the repertoire (covers and originals). In 2016 he was invited by italian Aquila Corde Armoniche, the largest strings factory for exotic instruments in the world, to be part of their endorsed artists team, a fact that also occurred with the american company Ohana Ukuleles. In 2017 he was the first Brazilian ukulele player to be shown on a national television channel, playing the instrumental ukulele, by Canal Futura. This same year, he released his first single, “Maria Madalena“, also with a music video, recorded in Santa Rita do Ibitipoca, Bom Jesus do Vermelho and Parreiras, in Minas Gerais state. Also, started his studies in JHUI with the Canadian master James Hill, the only course in the world that prepare ukulele teachers. Another fact unheard of the Brazilian ukers, participates in the 5th Czech Ukulele Festival, playing in the cities of Poděbrady and Únětice, also doing Brazilian music workshop. At the end of 2017, he created the Toca Ukulele Global, the English version of the Brazilian project. He also leaves a parallel career working with computers to fully dedicate himself to music and ukulele. 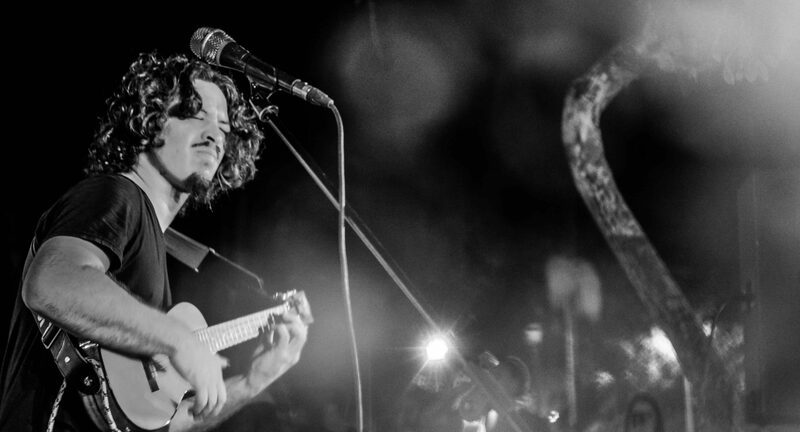 In 2018, he released his first album, naturæ, which debuts in the history of the Brazilian ukulele as the first instrumental album in the instrument. The album contains songs played only in the ukulele, and partnerships with Diogo Fernandes (bass) and Felipe Moreira (piano). The album songbook was also launched, with the tablature and standard notation. He holds workshops and events inside and outside the country, in Portuguese and English, and is responsible for the Encontro Nacional de Ukulele (Ukulele National Meeting), an annual event held at USP (Universidade de São Paulo) in São Paulo, Brazil, with two editions (2017 and 2018). In national workshops, João presents a vast repertoire and teaches music, beats, musical theory, joint practice, among others. In international workshops, he usually takes Brazilian music to the public, especially typical rhythms of the country, such as maxixe, choro and bossa nova. João is also part of the Original Ukulele Songs, a worldwide organization for songwriters using ukulele.